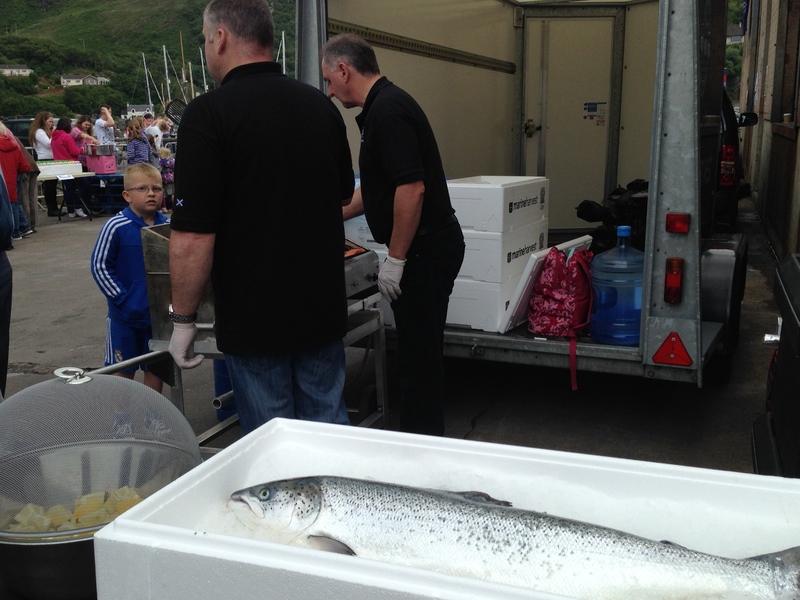 My last day in Mallaig coincided with the Fishermans Mission Gala Day. The small port filled with a model steam train, baked goods, crafts, grilled salmon, and Irish Step Dancing. The briny taste of the salmon, the music accompanying the dancers, and the bustle of locals made a fitting departure. Part of that departure included a ride on the Jacobite, a steam train that runs twice a day between Mallaig and Fort William, making for a complicated journey: Mallaig to Fort William, Fort William to Glasgow, Glasgow to Edinburgh arriving at 10:00 P.M. The trip was disappointing in part and harrowing at the end. I had been warned that the Jacobite train was a tourist rip off. The warning was somewhat accurate. 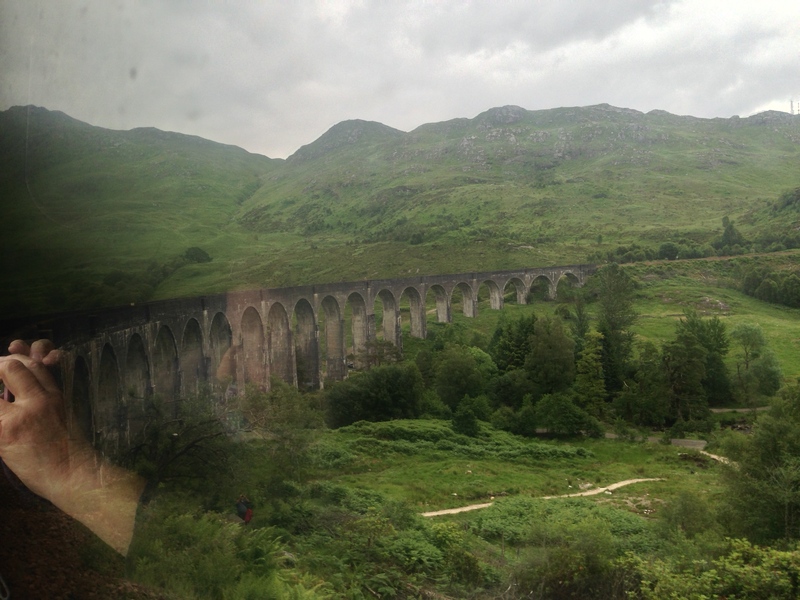 First of all, my seat was facing backwards, so seeing or photographing the Glenfinnan Viaduct, known to anyone who has seen a Harry Potter movie, was difficult. Then, the authenticity of the train amounted, for the most part, to engine debris floating through the cabin and the wail of that same engine. I thought I had arranged my itinerary so the connection in Glasgow would be seamless. Not true. 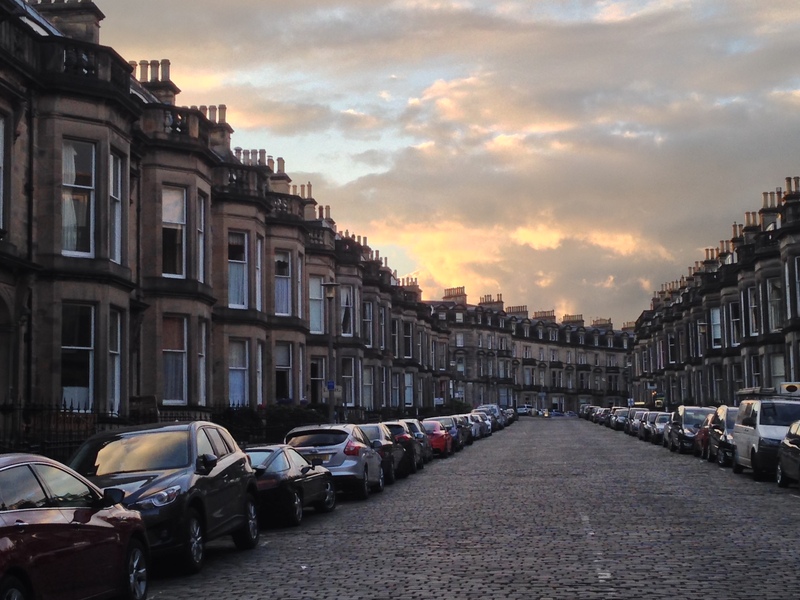 The train from Fort Willam to Glasgow ran late and I only made the train to Edinburgh by running from one quai to the next dragging my luggage and cheered on by conductors. The door literally closed on my backside. Luckily, a stop dropped me off just two blocks from the Haymarket Hotel where I was rewarded with elegant furnishings and 13 foot ceilings. I hadn’t eaten since the morning and hurried to find a restaurant. The only one open was closing it’s doors but when I begged, the waiter at La Bruschetta graciously relented. I settled in for a good Italian dinner, several glasses of red wine, and savored it’s old fashioned charm.